Bob Dylan: Another Self Portrait (1969-1971) – The Bootleg Series vol. 10 | What Hi-Fi? 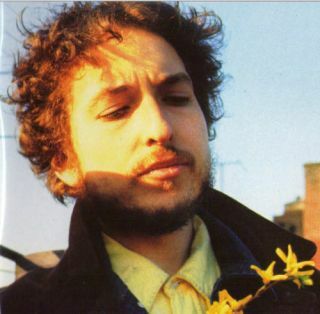 Has a popular musician ever gone so far out of his way to confound and confuse his own audience as Bob Dylan? Others have tried to stick it to their management or record company… but by the late 1960s, wired and tired and thoroughly sick of the lazy ‘spokesman of a generation’ tag, there seemed no limit to the lengths Dylan was prepared to go to in order to wrong-foot listeners. The 35 songs here (demos, rarities, alternate takes, previously unreleased recordings), mostly ragged and unvarnished, come mainly from the 1970 sessions that yielded the Self Portrait and New Morning albums. Self Portrait, released in June that year, provoked reactions ranging from ‘bewildered’ to ‘outraged’ – the review in Rolling Stone (written by cultural cypher and Dylan authority Greil Marcus) began “what is this s hit?” Job done. The appeal of Another Self Portrait (as it has been with most of the Bootleg Series releases) is the insight into Dylan’s working methods. Impatient, unconvinced by overdubs and happiest recording ‘as live’ in a small ensemble, it’s a technique perched midway between ‘shambolic’ and ‘mercurial’. The past, of course, is another country and even the erstwhile spokesman of a generation is a mere commodity these days. So those for whom too much is not enough, Another Self Portrait is available as a four-disc ‘deluxe’ set. It’s worth it for the extraordinarily fiery performance by Dylan and The Band at the 1969 Isle of Wight Festival (here in its entirety for the first time). The disparate nature of the source material, compounded by recording methods that inevitably lead to instruments bleeding over one another, makes for a product that sounds pretty muddy at times. That’s not to say your system won’t be quite thoroughly examined one way or another, but it is to miss the point somewhat. Another Self Portrait is a document of an artist restless in his own creativity and searching for a direction home. Even at over 40 years’ remove, it’s thrilling in its immediacy and intimacy.